The will’s shortcomings are not limited to matters of inheritance. A simple will cannot reduce estate taxes the way some kinds of trust plans can. 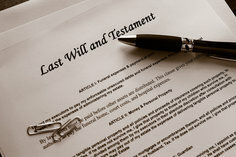 Neither can a will protect the inheritance you leave your heirs from creditors. Perhaps your heirs are young and you would like to make sure they can get their inheritance at certain ages or intervals (marriage, education or having children).